This is written by Jayne Butterworth from a purely personal view. What can you say it was tarmac, flat, fast field and tedious!! Julian ran super fast and won the V40 of the race. Richard was 2nd V60 in the race, he is not just a fast V60 he is running amazing times overall even on the track now. Michael pushing the others behind him (hope ribs heal fast). Phil is just getting better and better with his new regime of more miles. Dave Gorman did his once in a decade job of overtaking me, pay back in the Guy Fawkes 10 mate! Obviously retirement equals more training. Paul did so well in a longish race in his amazing come back. Ann-Marie 3rd in age and fastest women from SAC. Tricia overtook me in the last few hundred meters to take a well earned 2nd place in SAC. I will not comment (I suppose I did enjoy the ski holiday). Rowena was too close behind me and welcome to the club champs. Hilary did a good time as she loves the tarmac. Sophie still ahead of mum and is getting stronger. Emma still going well for someone approaching 50 years of age, and enjoying the last year before joining a very competitive age band in SAC. Hazel still running with a smile on her face well done. Chris managed her first club champs with a strong performance with very little training after her injury. Sarah just seems to love racing and looking strong throughout. It was lovely to see some new faces in the club champs and there are plenty of races left to qualify. A total of 89 runners took part. A total of 355 runners took part. Jayne Butterworth, Sue Marshall, Andrew Cairns and Steve Hunn took part in this 10k fell race. Jayne was 3rd FV50. Full results not yet available. A total of 198 runners took part. 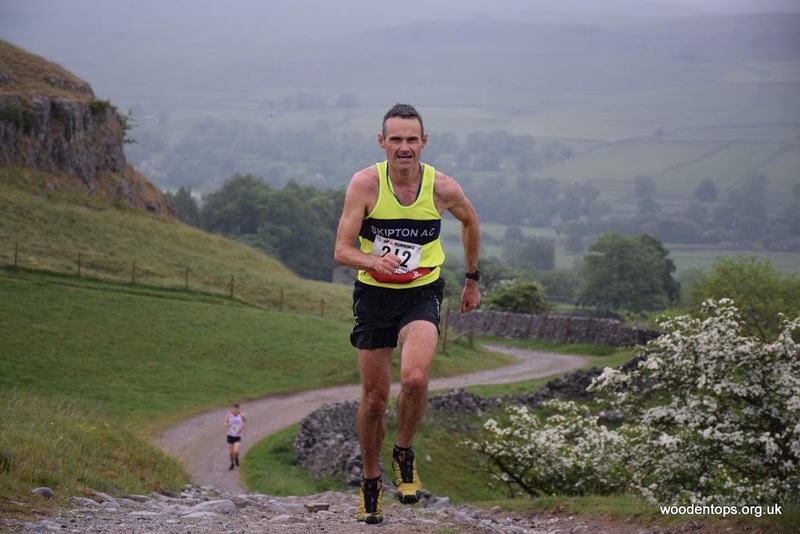 1 1 Andrew CAIRNS Skipton AC 00:17:15 NEW PB! A total of 347 runners took part. 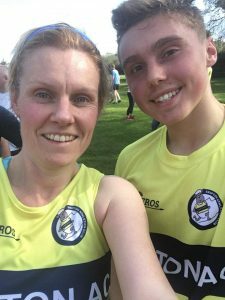 25 76 Rowena Garton Skipton AC 10K F40 3/13 50:51 New 5k PB! 427th 586 Richard Small Skipton Cycling Club MV60 04:57:50 New PB! A total of 594 runners took part. A total of 168 runners took part. A total of 44 runners took part. Oliver Thomas ran at Disneyland Paris this weekend. Results not available. A total of 453 runners took part. Tim Chadwick ran Scafell Pike – results not yet available. A total of 544 runners took part. A total of 320 runners took part. Sundowner (Half Iron Man) 1st Sept.
A total of 427 runners took part. 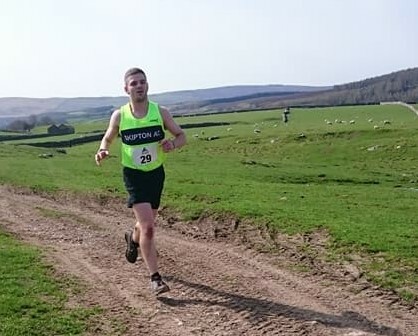 11 11 Angus MEIKLE Skipton AC 00:20:24 NEW PB! 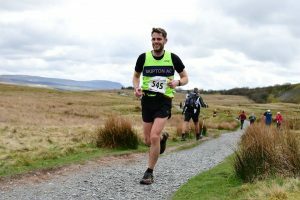 48 13 Martha RADLEY Skipton AC 00:24:28 NEW PB! A total of 252 runners took part. 20 18 Philip DEAN Skipton AC 00:21:53 New PB! 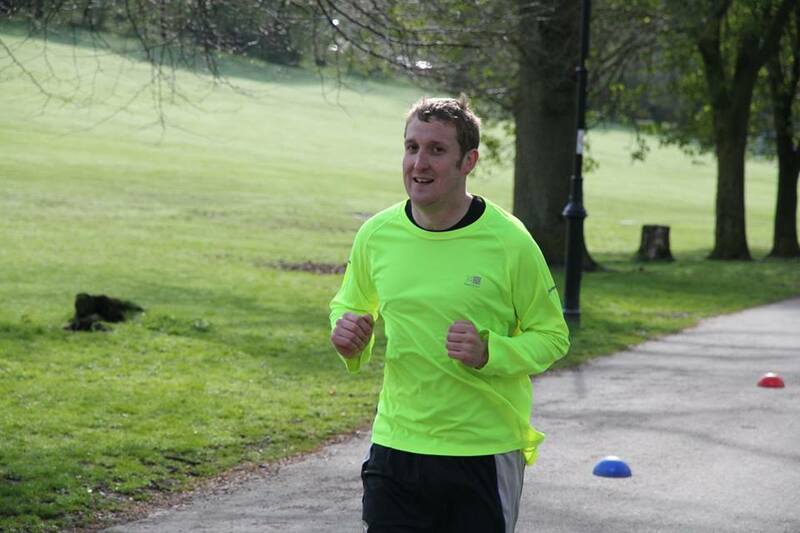 91 30 Chris ROSE Skipton AC 00:27:36 50th parkrun! A total of 30 runners took part. Sue Marshall, Jayne Butterworth, Gavin Smith, Sarah Wills, Robert Wills, Derek Ives & Michael McInnes took part. Full results not yet published. Well done to everyone who ran this week. Some cracking results and three parkrun first finishers! 1 1 Mark SHAKESHAFT Skipton AC 00:20:21 NEW PB! A total of 191 runners took part. 1 1 Andrew CAIRNS Skipton AC 00:17:30 NEW PB! A total of 224 runners took part. Tim Chadwick & Gavin Smith took part in this 6m fell race. Results not yet published. I think Gav and Phillippa Smith had the best result this week! Congratulations both on your twin baby boys. Well done to everyone for continuing to run about in this heat. A total of 393 runners took part. Neil Maloney & Tim Chad took part in this. Results not yet available. Kudos to Andy Ellwood who did all 5 winter routes back to back on his training run at the weekend – about 36.5 miles in 7 hours 5 mins! 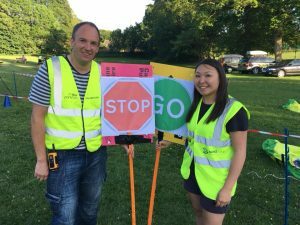 Congratulations on the 200th parkrun Spikey! A total of 130 runners took part. A total of 232 runners took part. A total of 183 runners took part. A total of 108 runners took part. Not a race but involved 10 Marilyn peaks (ie those with at least 500’ of ascent) including the big climbs up Pillar, Kirk Fell, Great Gable, Scafell Pike and Scafell. 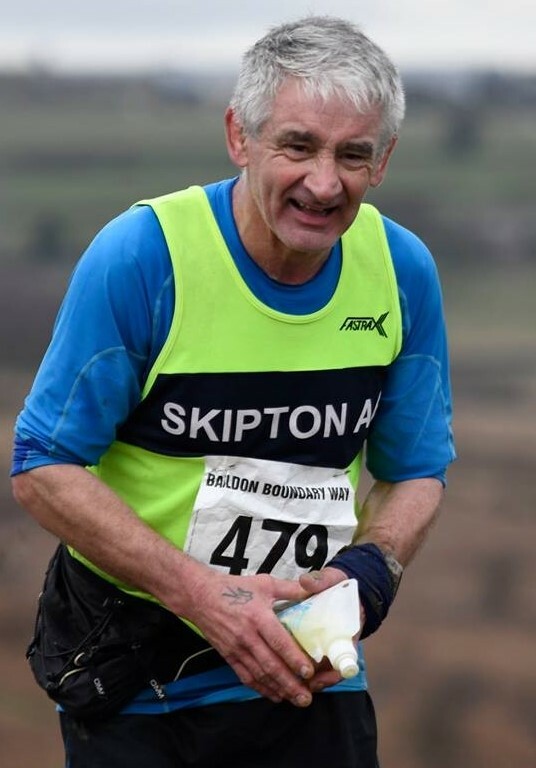 Steve Hall did the LDWA’s A foot in 2 Dales on Saturday, 50 miles, time 13 hours 12 minutes. Full results to follow. A total of 222 runners took part. A total of 181 runners took part. A total of 408 runners took part. 138 48 Lauren GUEST Skipton AC 00:30:14 SKIPTON PB! A total of 170 runners took part. 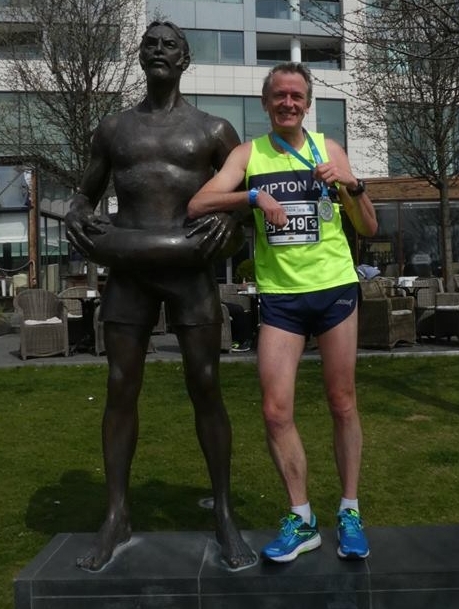 2 2 Andrew CAIRNS Skipton AC 00:17:34 NEW PB! 11 11 Deniz Joseph BALAZS Skipton AC 00:20:12 NEW PB! 87 16 Hazel IVES Skipton AC 00:25:00 NEW KESWICK PB! 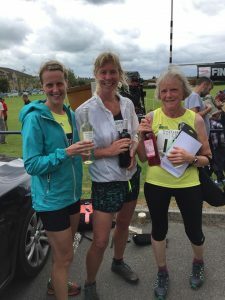 104 32 Lauren GUEST Skipton AC 00:28:48 ANOTHER NEW PB! A total of 497 runners took part. A total of 127 runners took part. 12 12 Deniz Joseph BALAZS Skipton AC 00:20:24 NEW PB! 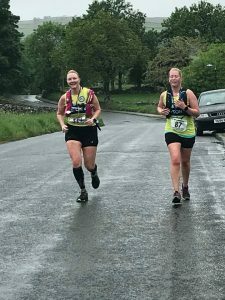 110 33 Lauren GUEST Skipton AC 00:28:52 NEW PB!!! 26 Melanie Steventon Skipton 00:40:03 2nd Female! 3 Jayne Butterworth 01:34:12 07:15:11 04:46:34 13:35:57 3rd Female! This was a return visit to Edinburgh for Chris Rose, Ruth Elkington, Anila Avison, Sylvia Vida and myself. With others we had run the marathon in 2008, 2009 and variously the marathon and half over the next few years. We stayed at Central YHA because this was just around the corner from the loos, the baggage buses, the loos, the start pens and the loos. Unfortunately, the race organisers failed to tell us that the baggage buses and the start were now further away and that they had failed to lay on almost any extra loos than were available (or not!) at the University. Oh, and it was cold too from a Scottish east coast ‘haar’! Most of the time between dropping off the bags we were either in a loo queue, looking for a loo queue or just very cold!! Someone must have said go because nothing happened for ages and we then walked very slowly for about 30 minutes before crossing the start line. Once we got to Holyrood Park there were a lot of runners disappearing behind trees. Please deduct about 20 minutes from our race times to account for making up for lack of loos at the start!! Anyway, my race plan changed. I had intended to trot for about 6 miles and then take a short cut to the finish because actually running the half was not in my dream, leave alone an ambition. I was somewhat surprised to find myself still trotting away at 9 miles and climbing over the barriers for the short-cut at that point looked more challenging than staggering the last few miles. If I hadn’t run that bit, I wouldn’t have seen the look of amazement on Chris’ and Ruth’s faces when they saw I was still going and I wouldn’t have found myself running to Rockin’ Robin (short strides, fast turnover!). Once finished, we really struggled to get warm and to find the shuttle buses back to Edinburgh. Fortunately, we did later meet up with Merryn (Chris’ niece) and Christine Buckley who was en route back from Arran (a minor diversion). The next day (much warmer), we had a visit to the Scottish National Gallery for a date with Robert Walker and played spot the runner in Princes Gardens (whether indicated by memento t-shirt or tired looking gait) but didn’t spot John Harrison. 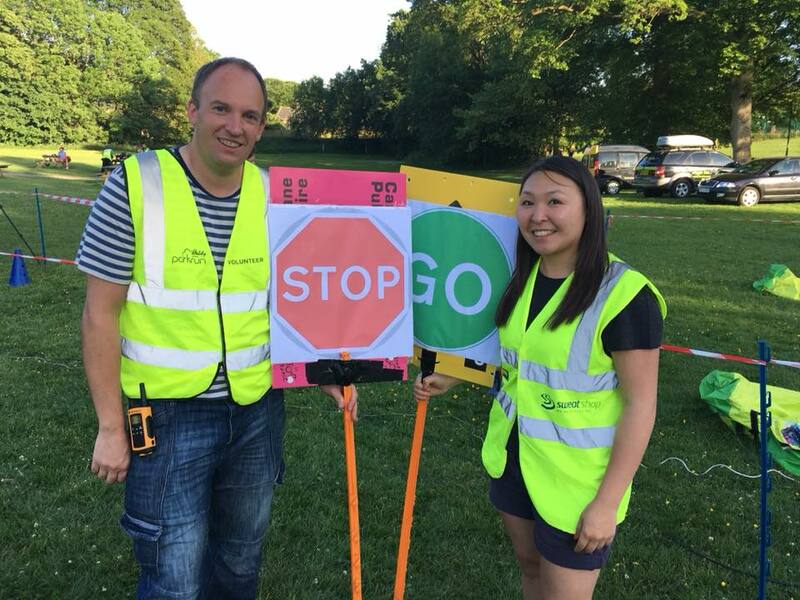 The race organisers have asked for feedback. More loos will be a suggestion!! A total of 494 runners took part. 8 8 Gavin SMITH Skipton AC 00:19:41 100th Parkrun! 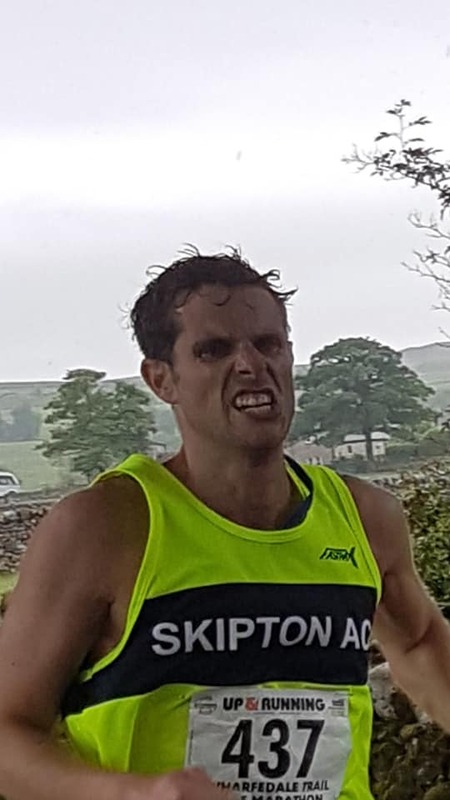 10 10 Deniz Joseph BALAZS Skipton AC 00:20:29 New PB! 37 4 Elsa BIRCH Skipton AC 00:23:26 New PB! A total of 241 runners took part. 14 14 Deniz Joseph BALAZS Skipton AC 00:20:44 NEW PB! 52 6 Sophie NEWBOULD Skipton AC 00:24:33 NEW PB! A total of 227 runners took part. 13 13 Deniz Joseph BALAZS Skipton AC 00:20:59 New PB! 162 48 Lynda HUTCHINS Skipton AC 00:30:39 New PB! 116 36 Lauren GUEST Skipton AC 00:29:08 New PB! A total of 526 runners took part. A total of 213 runners took part. 21 20 Istvan BARANYI Skipton AC 00:21:54 New PB! 59 16 Sophie NEWBOULD Skipton AC 00:25:02 New PB! 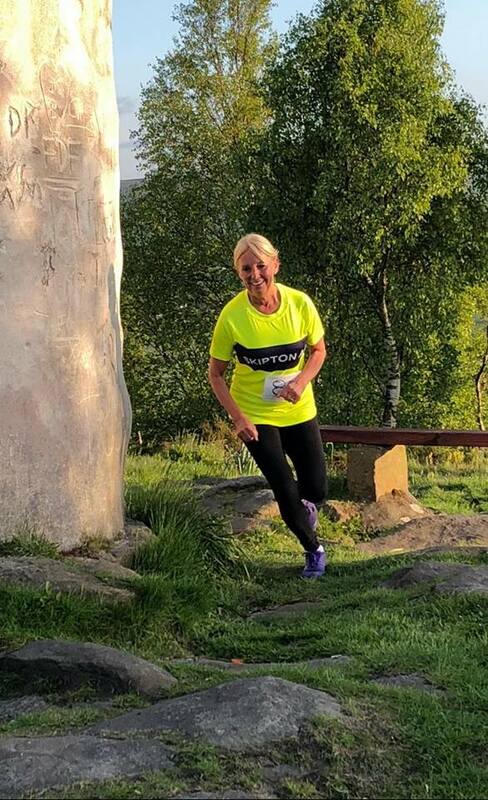 150 55 Lynda HUTCHINS Skipton AC 00:30:50 New PB! Hilary Seward represented the WYWL team. PECO won 5-1. Hopefully more info to follow. Tina Brocklebank and Michael McKinnes took part in this. Tina Brocklebank, Gavin Smith, Derek Ives and James Rochfort did this. A total of 380 runners took part. 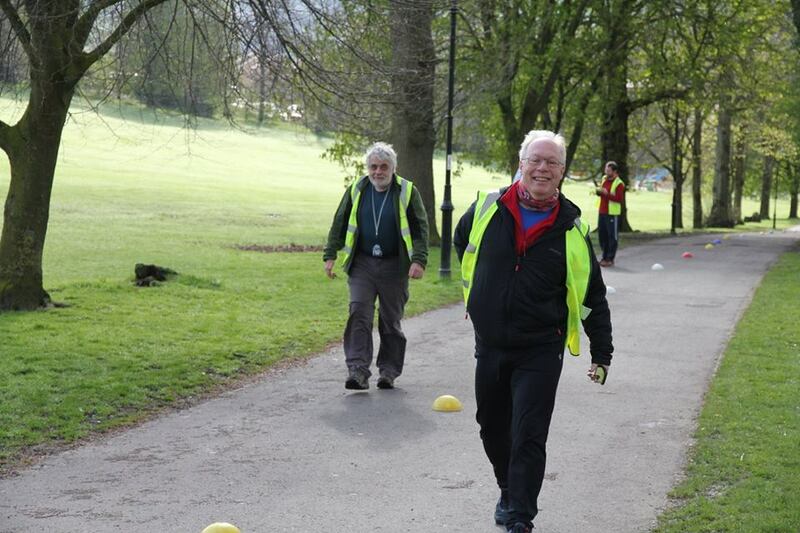 The aim was to run Goole ParkRun this Saturday. I arrived up in plenty of time and waited in the car park. I watched another car come in, with a young guy who looked like a runner, then, five minutes later, I watched him leave. Just to be on the safe side, I thought I’d check the ParkRun page, I found out it had been cancelled. Panic ensued and not for the first time this year! Fortunately, I had a navigator and as I set off back towards the motorway and the Selby ParkRun, they informed me that it had also been cancelled. It was decided that we’d aim for Pontefract as our third choice. Pulled up into a makeshift parking spot with maybe three or four minutes to spare, but still having to get changed and to the start. Spoke to a lady I parked next to, explained my morning and she mentioned that Goole has recently cancelled along with Selby this month. I’ve since looked in to the news sections of both Goole and Selby, Goole is due to the council looking to recover the ground conditions and Selby hasn’t had an event in April, but they give no information why. If anyone is heading over that way to Goole and Selby, check before you drive! Don’t arrive a few minutes before it starts, you’ll struggle to find a parking spot! Try to get away quickly, or wait a while and have a drink after the run, three car parking areas all converge at the exit without any right of way, it’s a free for all and let’s just say, some drivers are not polite. The ParkRun is a good location at Pontefract Racecourse which is a minute from the M62. I think it’ll suit people looking for a personal best, as it’s mostly one lap and you can just go for it, although there are a few gentle slopes. You start on the inside track facing up a slope running in a clockwise direction. You soon take a right into the fishing lake (watch out for the fishermen and their rods), then there’s a lap of the lake and back out to continue your clockwise circuit around the inside track of the racecourse. Passing through the start you’ll then head right again back in to the lake area to finish up with an almost full lap. There’s a few inclines, but they’re long, around the start area/coming out of the lake area and second time when you run back through start area towards lake after completing the racecourse. I wore my trail shoes, because I was advised it was muddy in a few places, but you don’t need them, it’s road shoe. The inside track is two tarmac strips, it is a little muddy between on the grass, but this’ll only effect you if you’re overtaking. I have to give a shout out to the two kids who had a brilliant cheerleading style chant of “well done, mind the mud” as you entered the lake for the final lap. It wasn’t enough mud to effect my aforementioned shoe choice. Just to complete my morning, I arrived back to a flat front tyre, fortunately there was a Halfords over the road! A total of 517 runners took part. A total of 139 runners took part. A short report for you as, providing I can get to the start of a race, I’ve never been one to be put off by the weather (racing, if I’m running from home I might sack it off). Yesterday was the Welcome Ultra, a Punk Panther event ran out of Otley and back round to Pool. Last year this event recalibrated my idea of a muddy run (and I live in Gargrave which is surrounded by swamps). I’ve had years of experience in snow (when we get it) both in the Dales and the Peak District, so I’m no stranger to the effort required or the creeping temperature drop of hypothermia moving through my arms and into my core. So for this run I donned my paramo smock, which is excellent at handling moisture albeit a bit heavy, but I knew there wouldn’t be much fast movement involved. Starting out from Otley the first 6 miles travel North and West over the fields, they were obviously snow covered and not a bit of mud in sight. It was a lovely change to last year. I lost sight of the majority (who were in front of me of course) and those behind me so it was very peaceful. At the first checkpoint I decided my buffalo mittens were no longer necessary and I’d had to take my hats off (yes, buffalo mittens and 2 hats) as I was quite warm. I was enjoying not having to read the route description, both remembering from the previous year and relying on the excellent route taping. From Denton the route travels over to the east of Ilkley and climbs up a massive hill to then cross the fields down to Burley (all snow covered). The slope down to the railway line had been turned into a hard packed slope by the many sledges; It looked excellent. The roads in Burley were in much the same state as the slope. After Burley and the snow covered frozen (thank god) fields it was over Burley Moor. People had been given the option of taking the road round the moor due to the harsh conditions, but who’d want to choose tarmac over thigh deep snow. The moor was cold and I was glad of my massive coat, luckily there had been small channels made in places, awkward to get poles to the ground but easier than breaking trail. There was deep snow coming down off the moor, but I could see where people had gone through into cavities which made it much easier! Then across to Eldwick, where I saw a postman who’d got his van stuck in a deep drift, and a precarious snow sloped path to Shipley Glen (I was glad of my poles). I did have the option of an additional 5 miles at this point, but it wasn’t appealing. The next section to Esholt covered Baildon Moor- which always seems to be windy and cold, and a deserted snow covered golf course at Hollins. Even the woods out of Esholt had deep snow, with some kids on mountain bikes making what were essentially luge runs! The railway line to Yeadon was packed snow, but remembering back to last year it seemed much shorter (It went on for ever in 2017), and onto Yeadon Banks. So after 28 miles of snow Yeadon Banks and the lanes over to the top of the Chevin were really having a laugh. Yeadon Banks was probably ankle deep but the lanes were shin deep, minimum. Even with 60 people having already gone through it wasn’t helping. I was getting tired by this point, not really aching just a bit tired and bored of snow. Luckily from the Chevin it was mostly downhill to Bramhope, with a frozen cow hoof print, ankle breaking field thrown in. There were some spectacular drifts in the footpaths outside of Bramhope – waist deep. I was glad to get to Bramhope as then it was just a 2 mile downhill (through Staircase lane) to the finish. I didn’t sprint to the end. What I was, once again, amazed by were the numbers of people who only relied on their gps and got lost. The taping and route description (although I didn’t need it) were excellent. The team who run the events did a great job, 75 people started and all 75 finished, there were 60 non starters, the organisers had made it clear that it wouldn’t be suitable for people with no experience of winter conditions. However, they were offering to run the race again, or other alternatives were provided for those who pre notified that they were dropping out. I was also provided my own personal bowl of custard at the end 😊. Vanessa.